So here’s something you should all know about me. 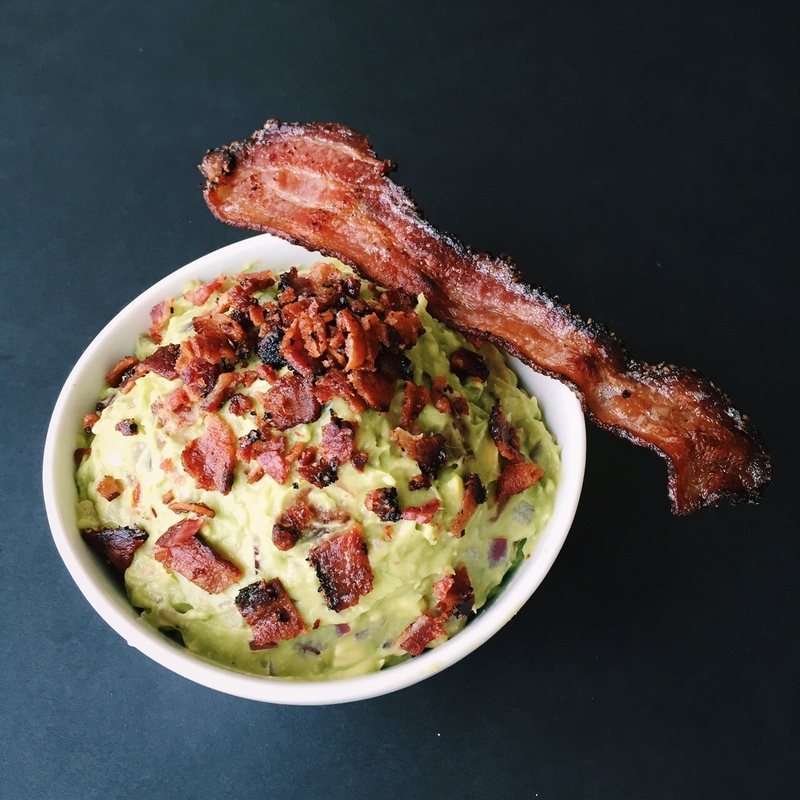 I make amazing guacamole. Sorry I’m not sorry for bragging. I didn’t think I did, but all of my friends rave about it even when they’re sober, so I assume it’s really good. And here’s a fun fact: I don’t put cilantro in it. I KNOW I KNOW, but I’m sorry, it tastes like soap. You can very easily add it here, but I wouldn’t because well…soap. I chose to add bacon instead because bacon is better than everything. The key to guac in my opinion is the citrus and the salt. Lime juice, lemon juice, sea salt. Golden. I also use the jarred jalapenos instead of fresh. You’re probably like, WHAT KIND OF FRAUD ARE YOU?! And if I’m being honest, I like the texture of the jarred ones better. They’re softer and juicier. Plus I also add a tsp or two of the jalapeno juice from the jar to get that heat all around in YO MOUF. So shut up and try it. 1. Chop onion, jalapenos, and work those cherry tomatoes. That’s probably the biggest pain – halving and seeding them – I don’t like the seeds because it adds too much extra liquid. 2. 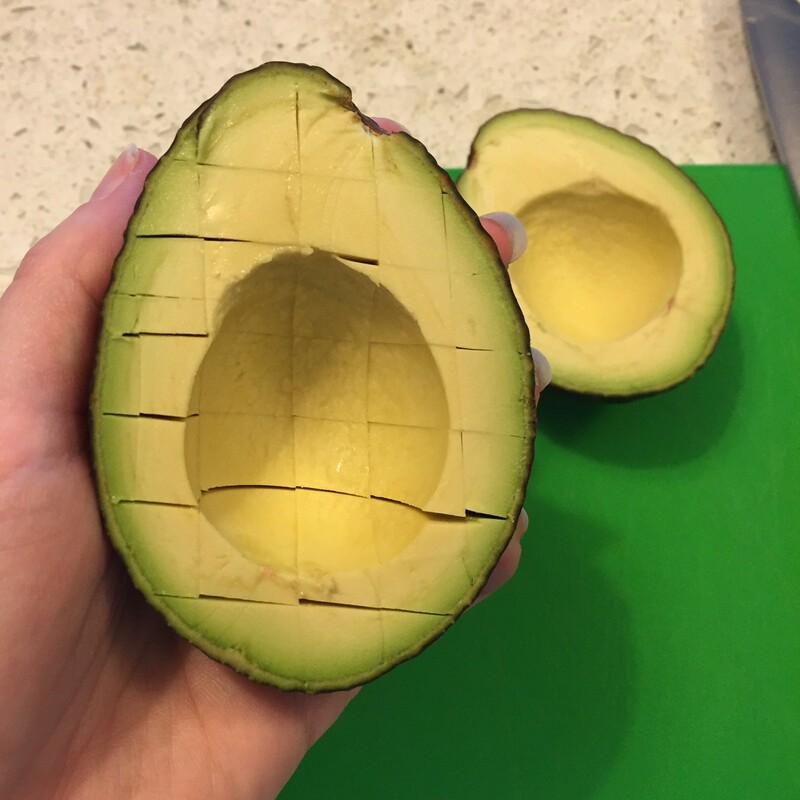 Cut the avocados and take out the pit. 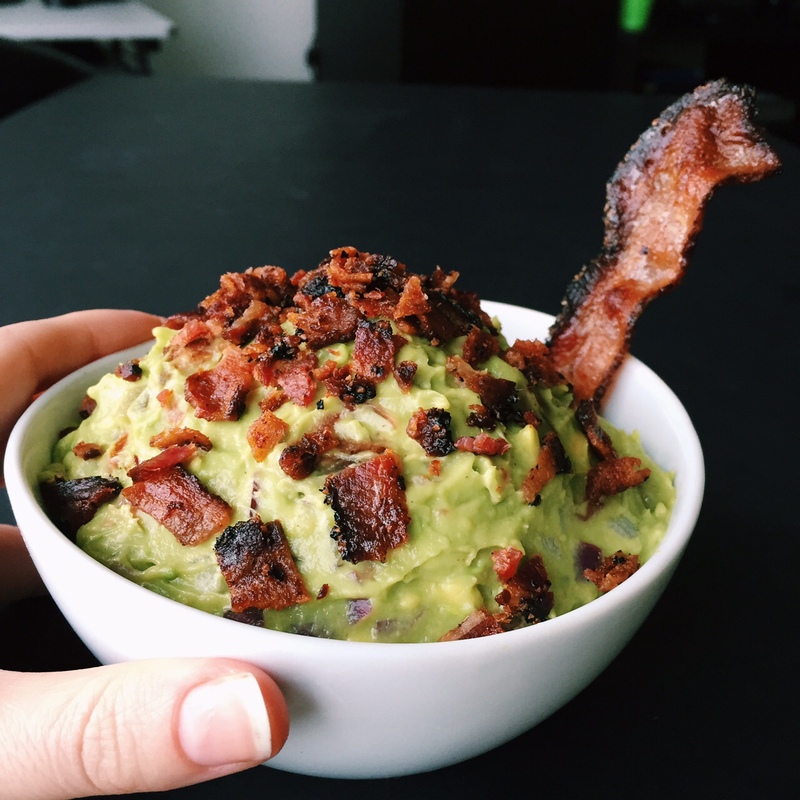 You can use an avocado slicer, which is a real game changer in that dept. Or you can just hold the half in one hand, take your knife with the other hand, and whack the pit with the sharp end, so it sticks in it. Be careful to not miss the avocado and chop off your hand a la Luke Skywalker. 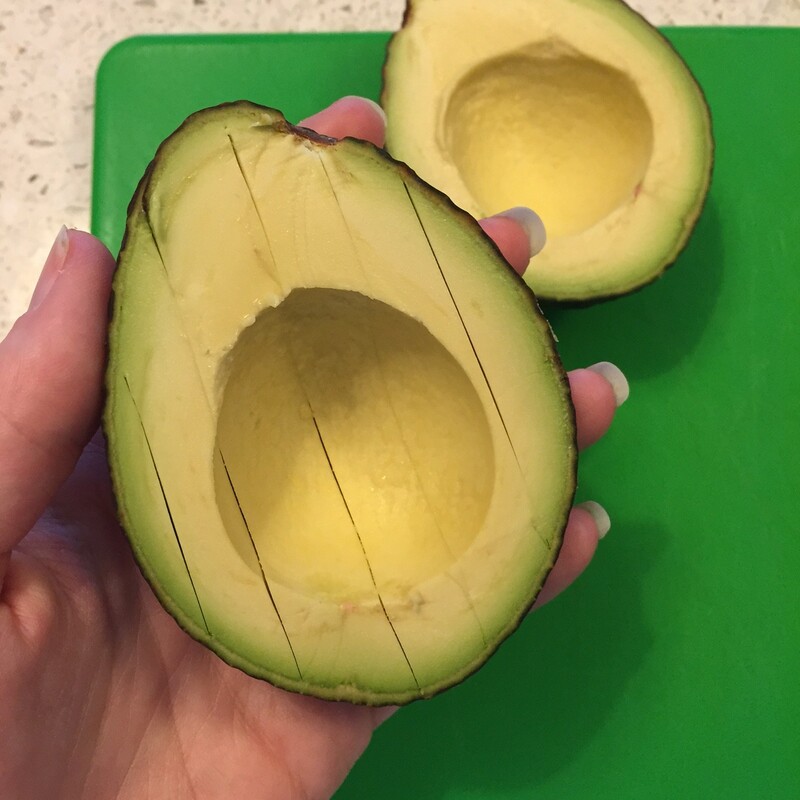 Once the knife is in the pit, twist the avocado with your other hand and it should come right out. It’s tricky but you’ll get it. 3. 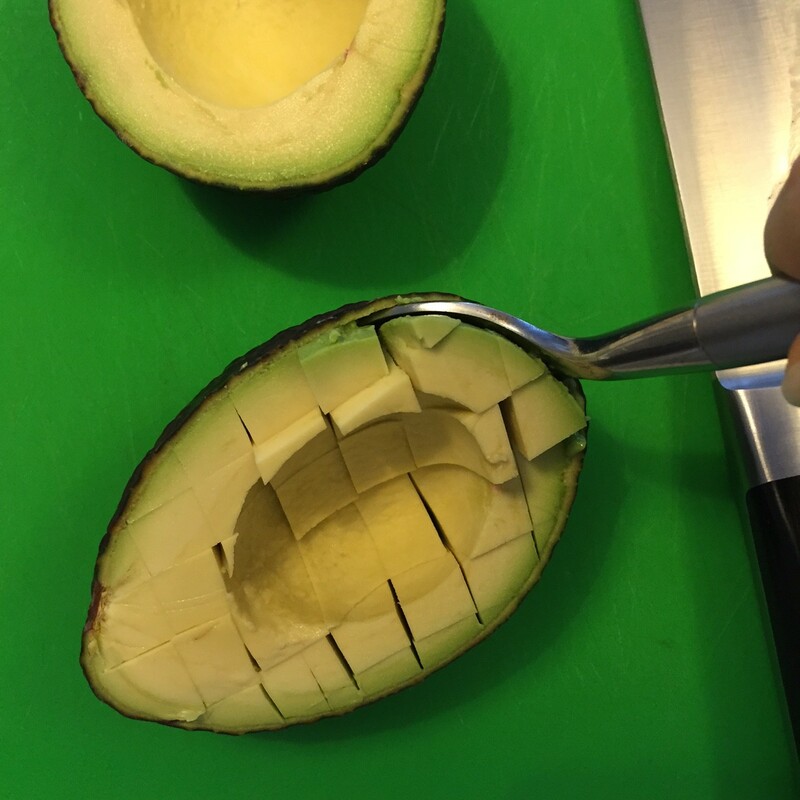 Slice the avocados lengthwise and then crosswise. 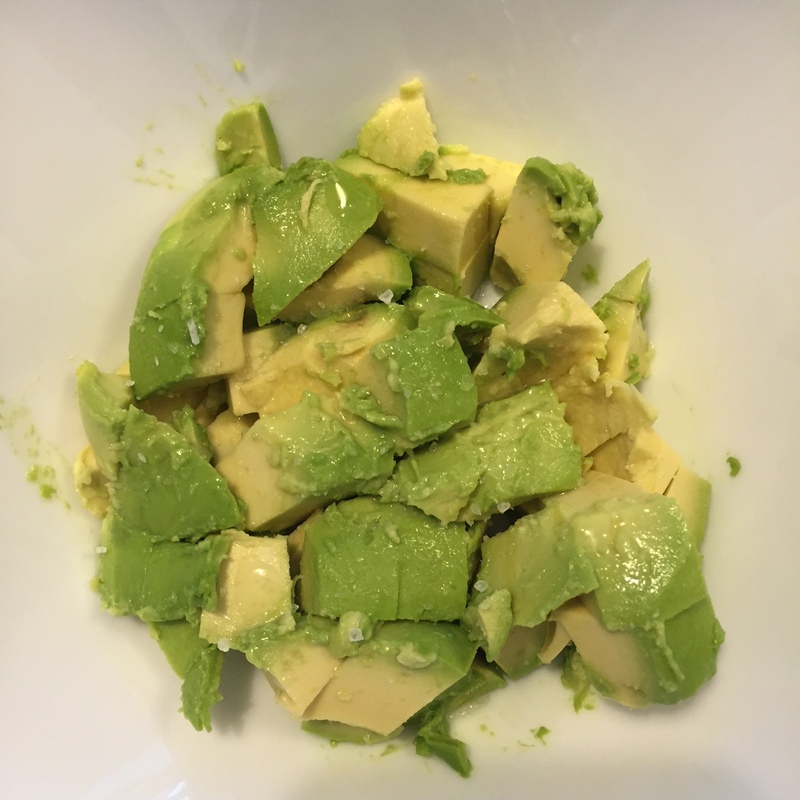 Then scoop out with a big spoon – your avocados will already be in little cubes! How adorable and easy. 4. Slice bacon into pieces and add to the bowl. Mix everything together and mash up a bit with the back of your fork. 5. Serve with chips or eat with a spoon. No judgment here. 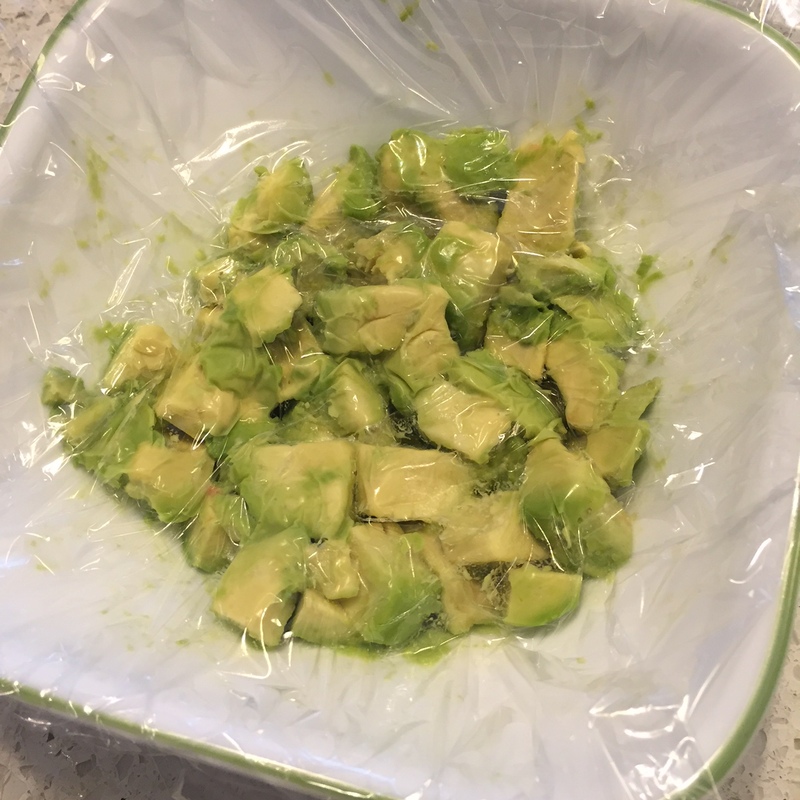 HELPFUL GUAC TIP: When putting away leftovers, press the plastic wrap down ONTO the guac, leaving little to no air to get in. 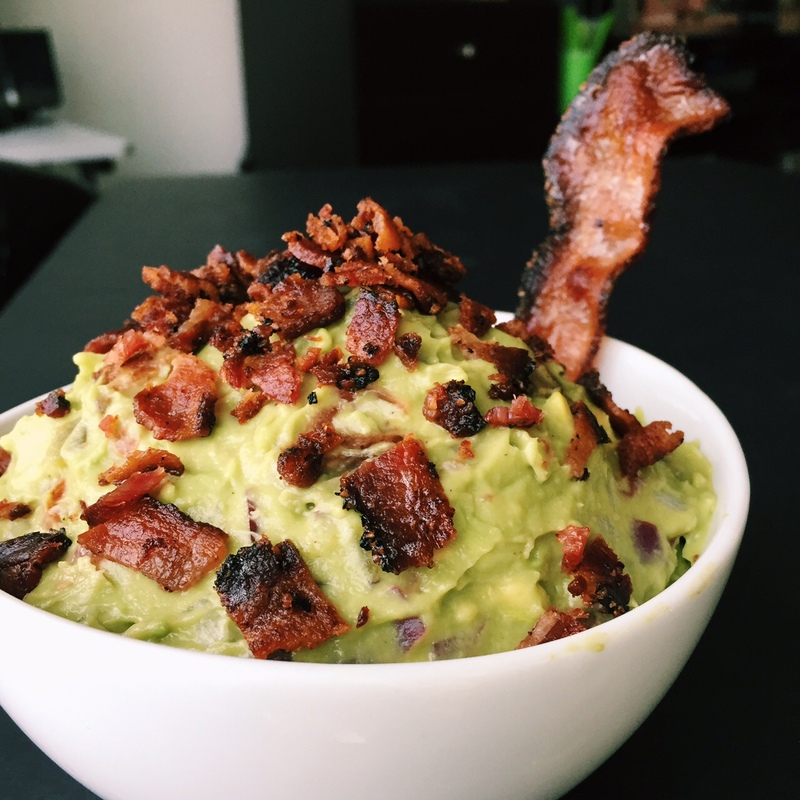 The air is what causes the avocados to turn all brown and gross. Citrus helps this too, but this is a lifesaver. Think of vacuum sealing. That’s the idea here.